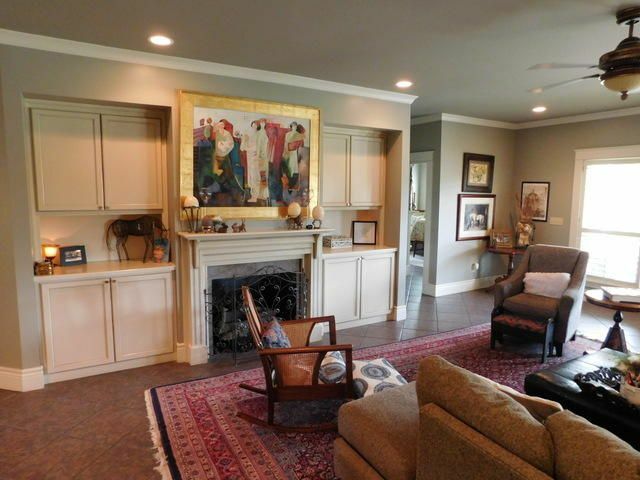 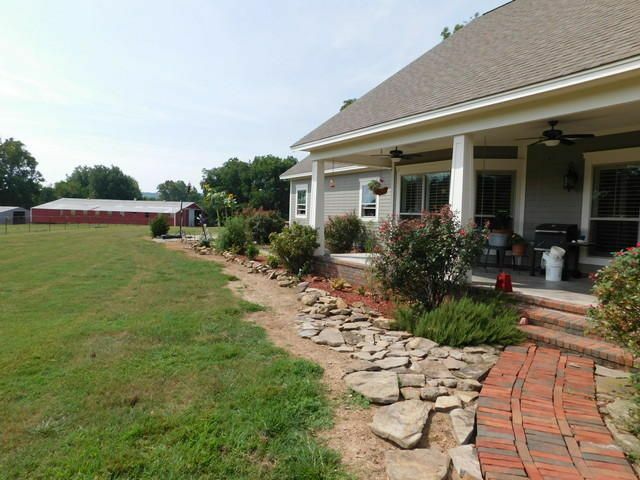 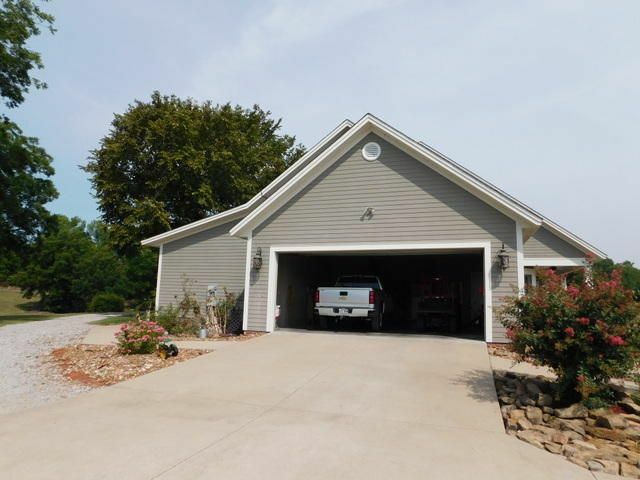 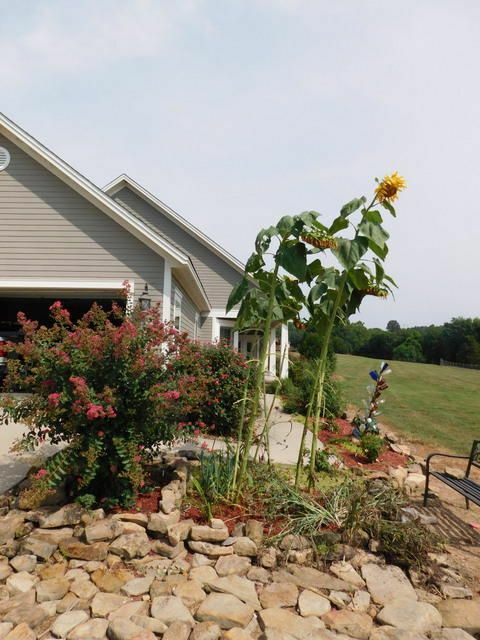 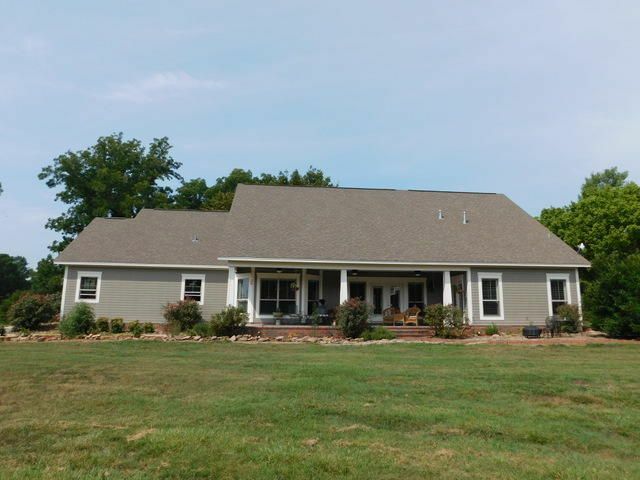 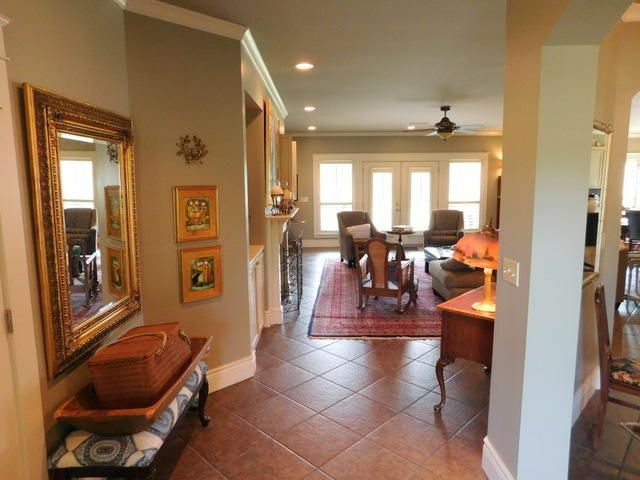 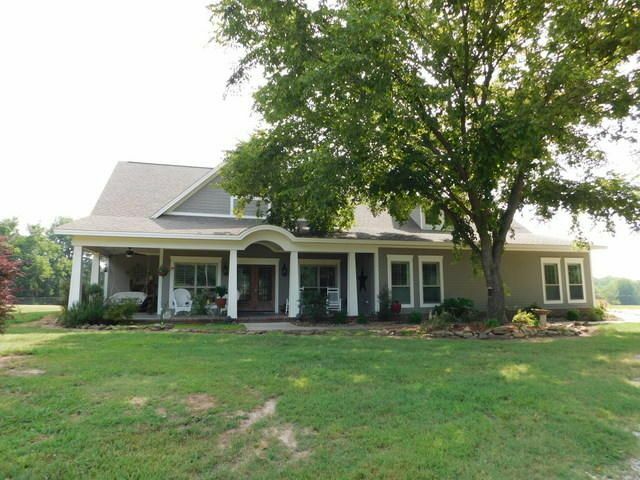 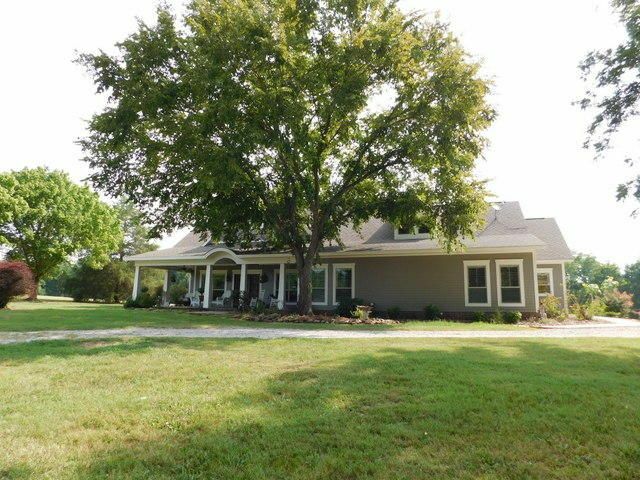 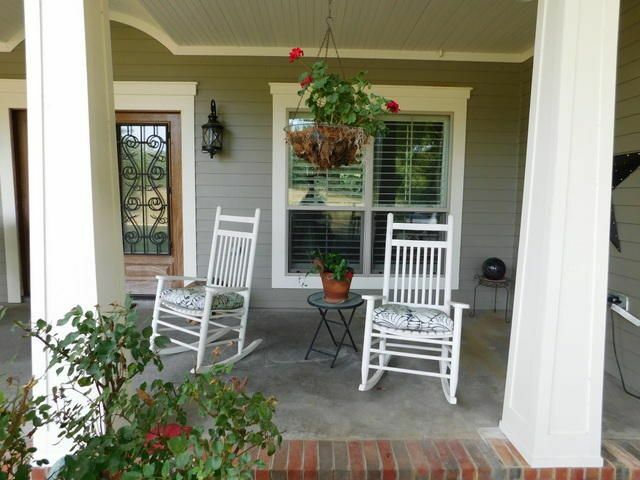 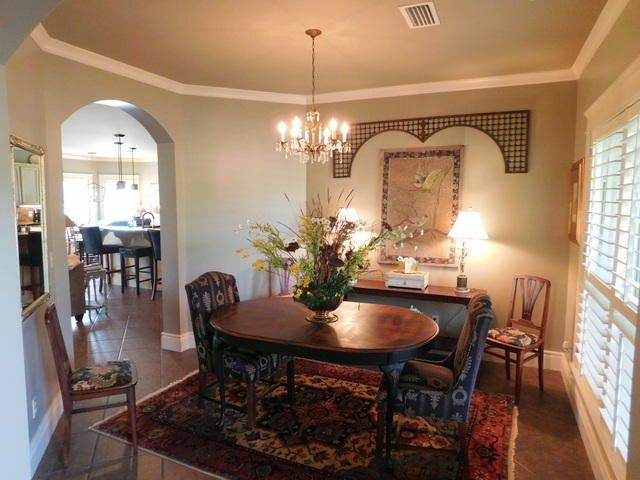 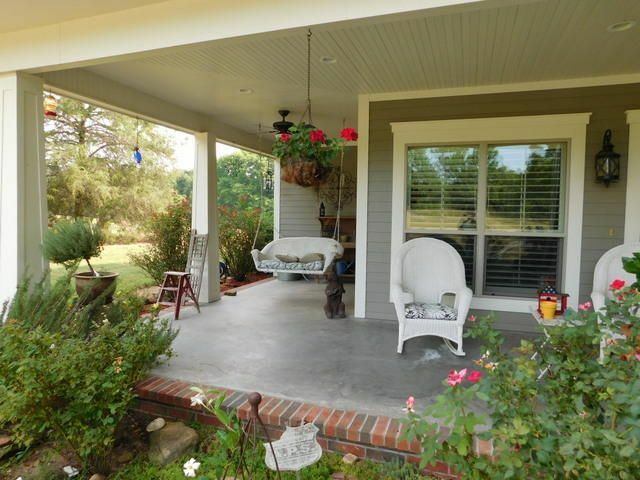 Custom home built by Larry Bolin on picturesque horse farm, just outside of town. 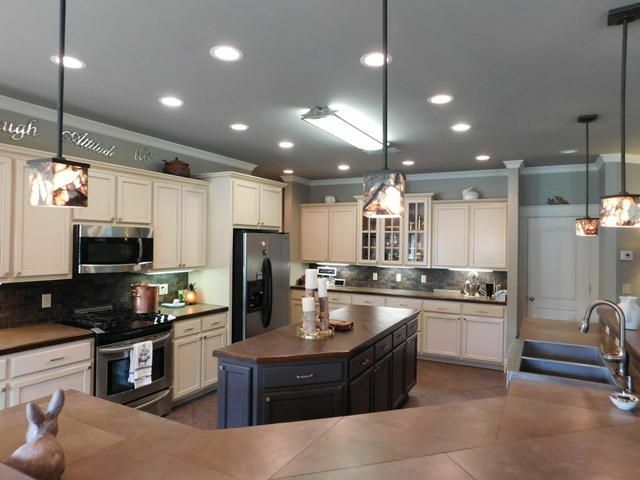 This fantastic floor plan and home have all the bells and whistles! 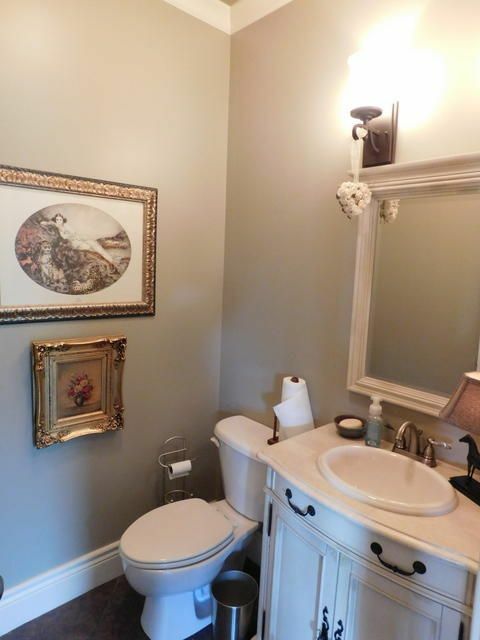 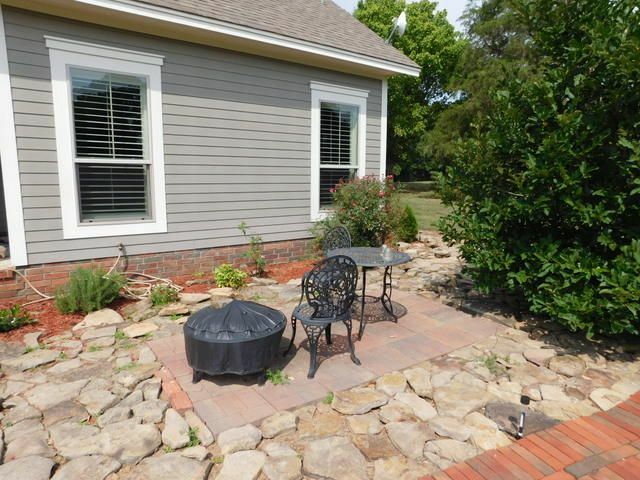 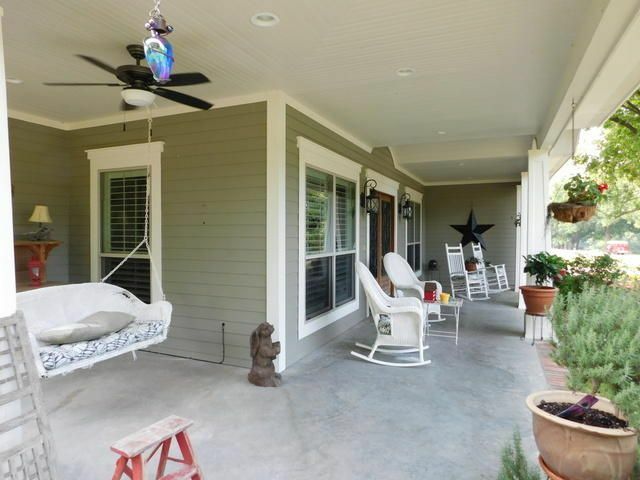 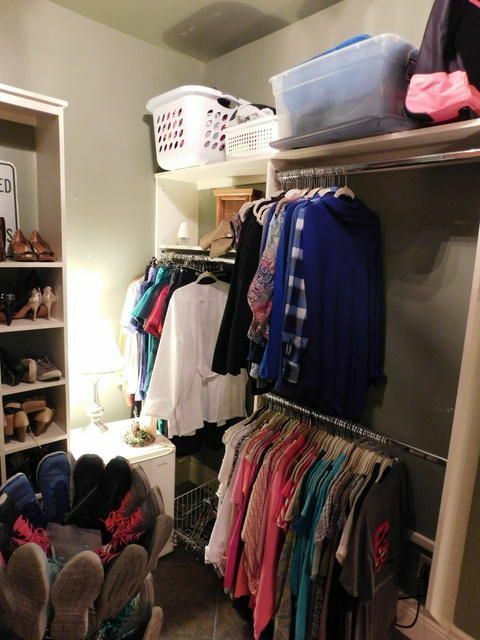 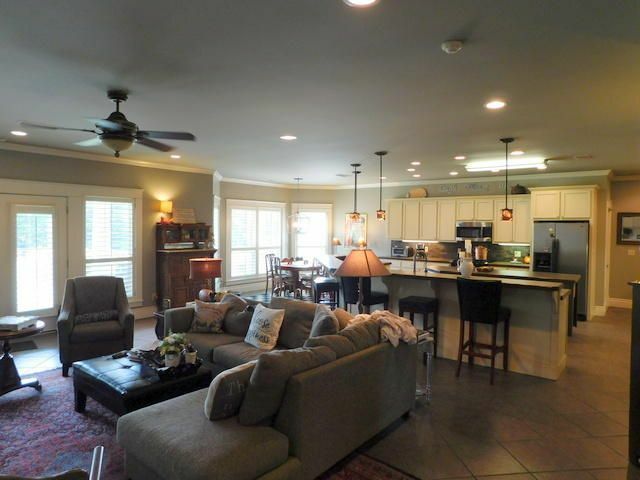 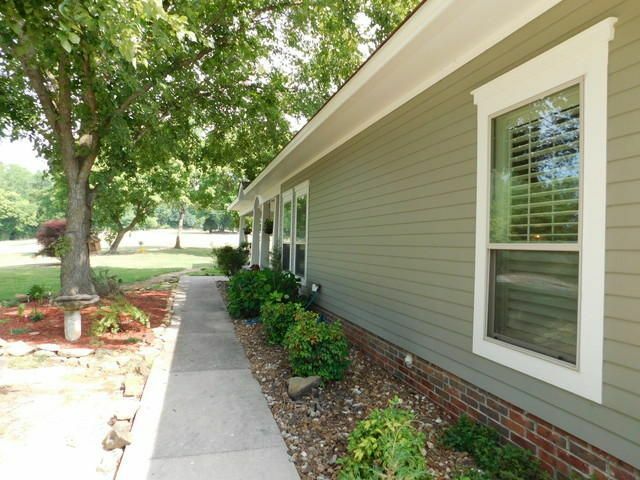 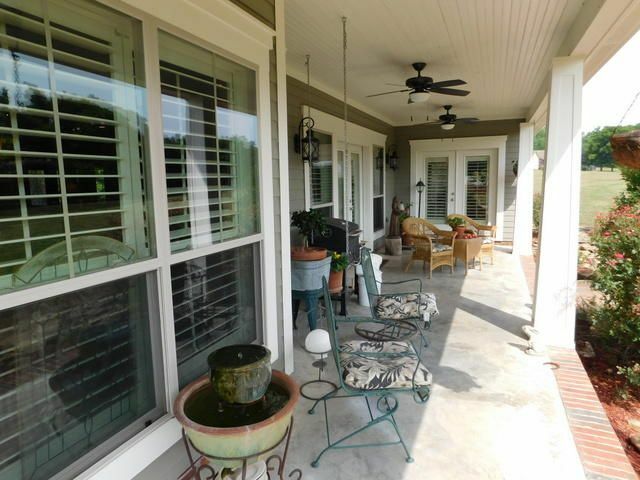 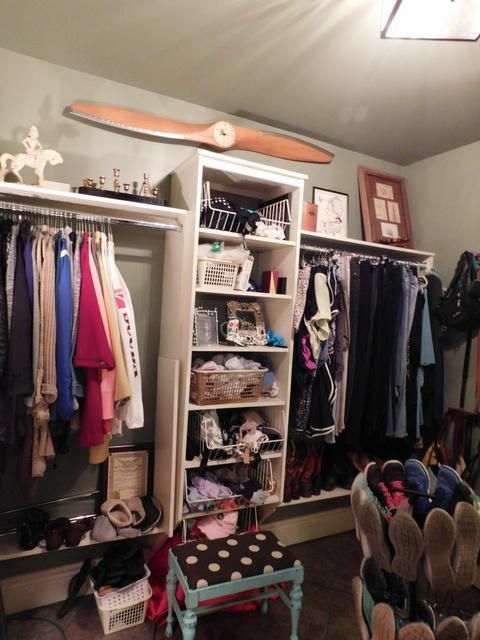 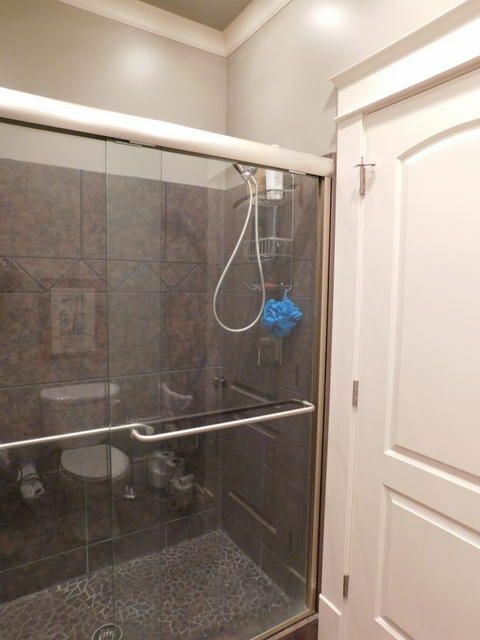 Open concept floorplan with wonderful builtins and ceramic floors throughout. 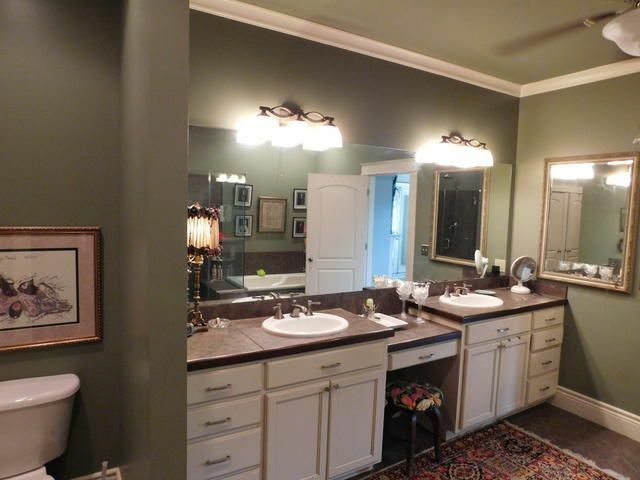 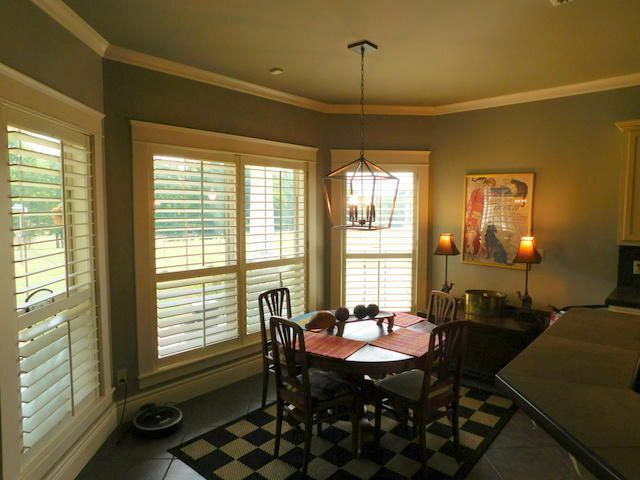 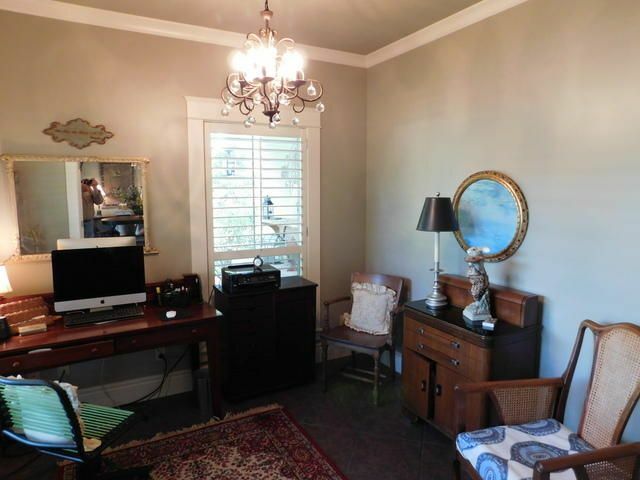 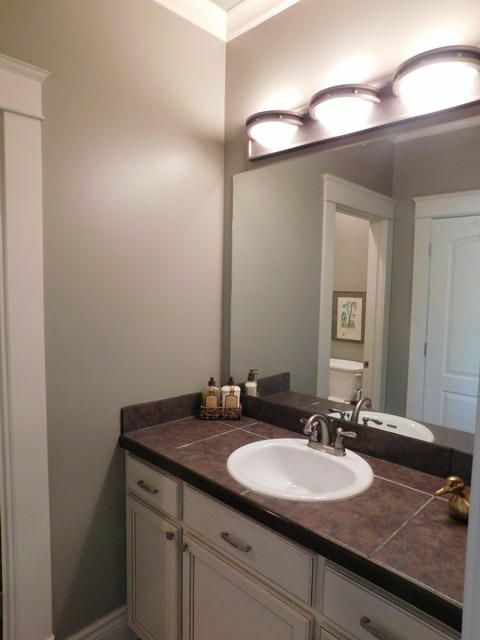 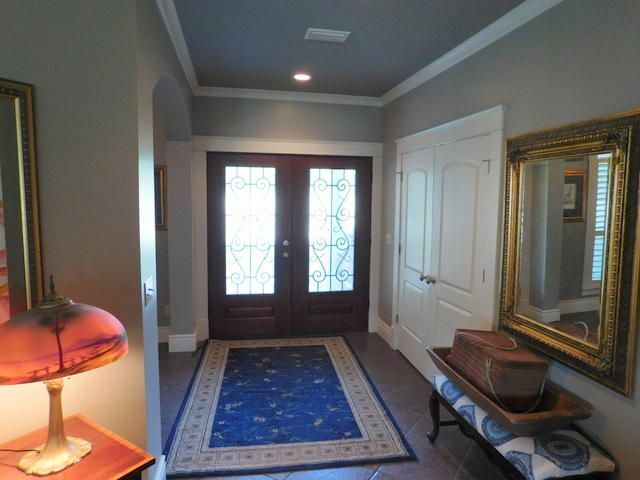 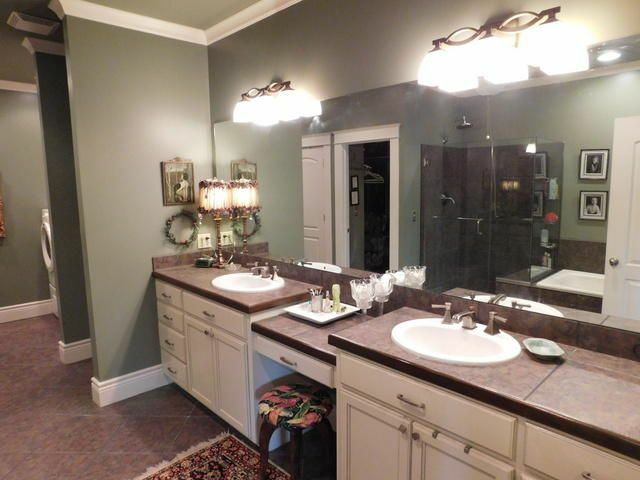 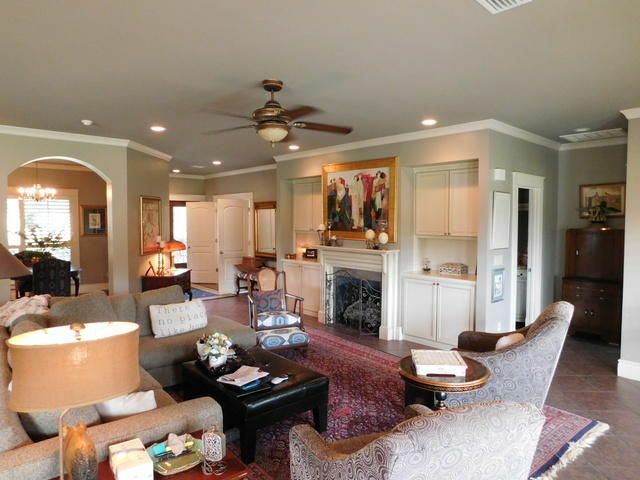 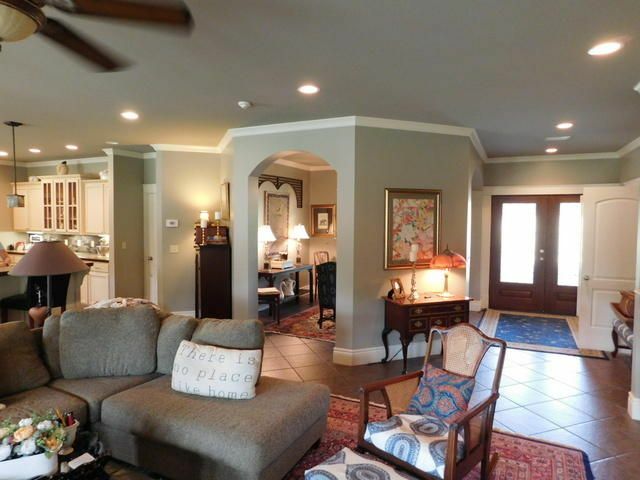 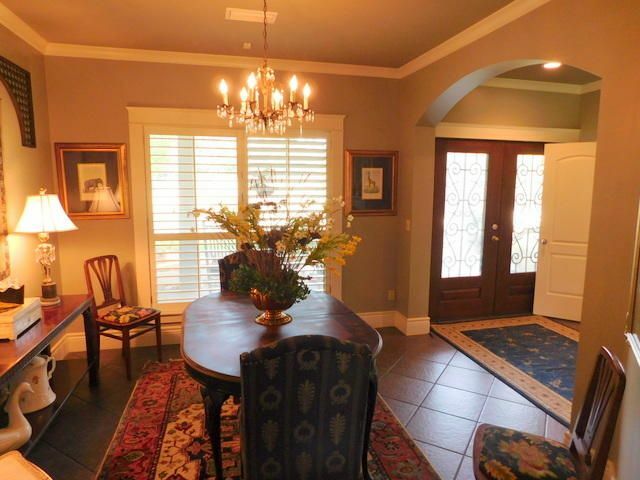 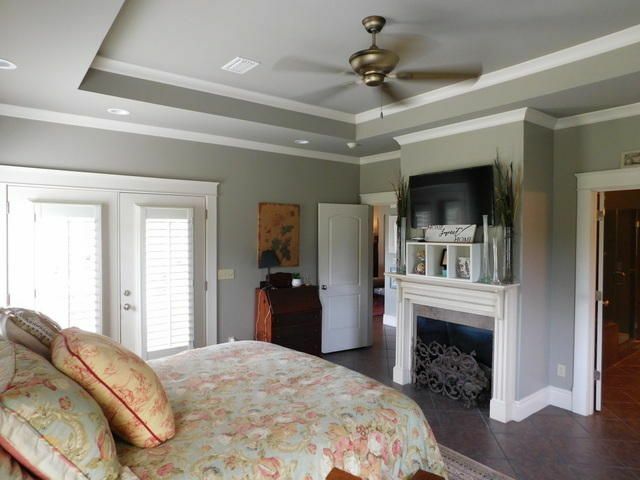 Large crown molding, recessed lighting and great trim work. 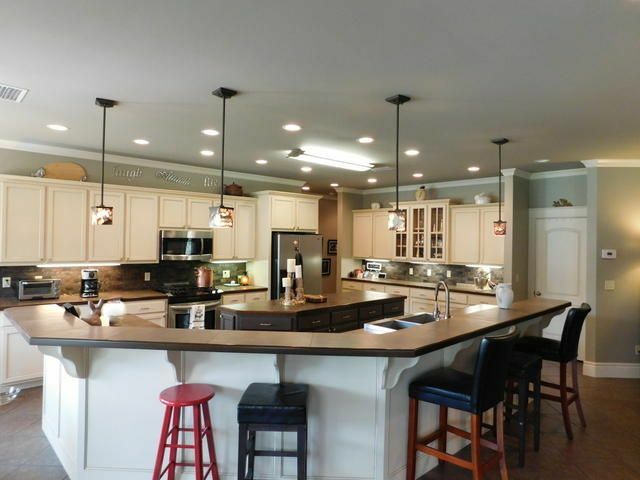 The custom kitchen is designed for function and large gatherings. 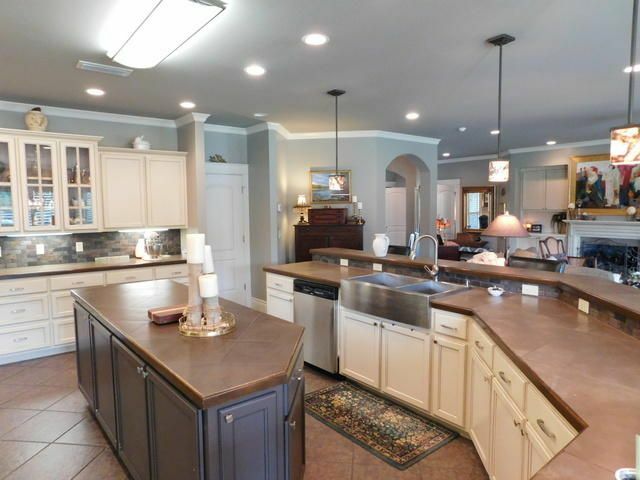 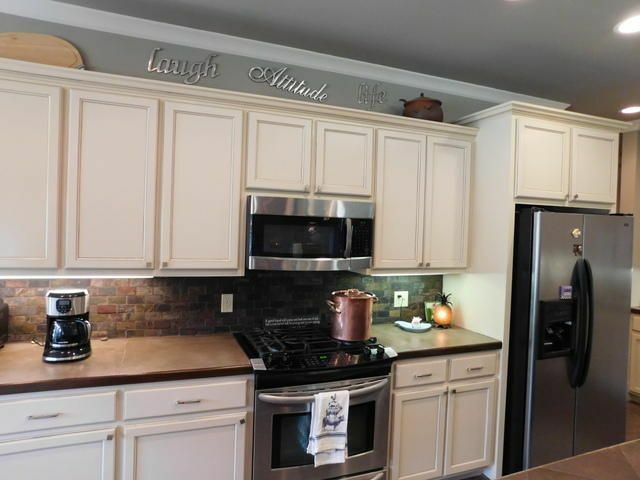 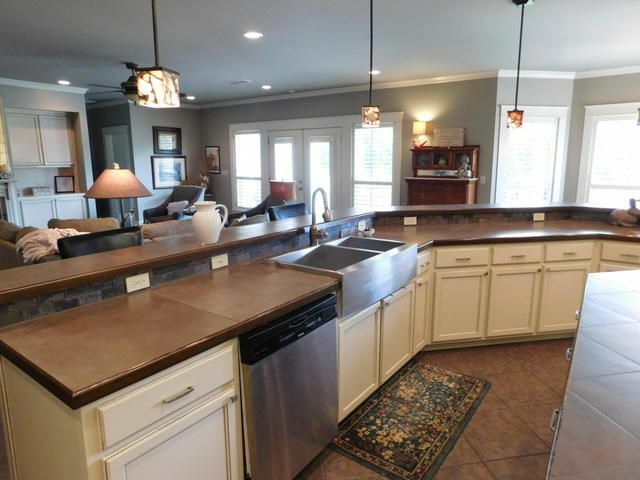 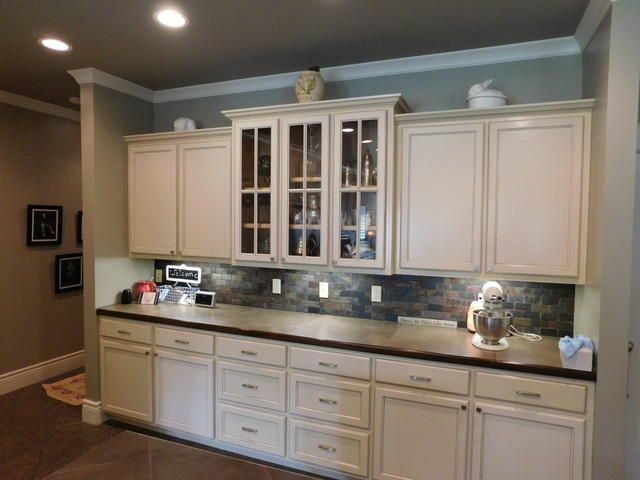 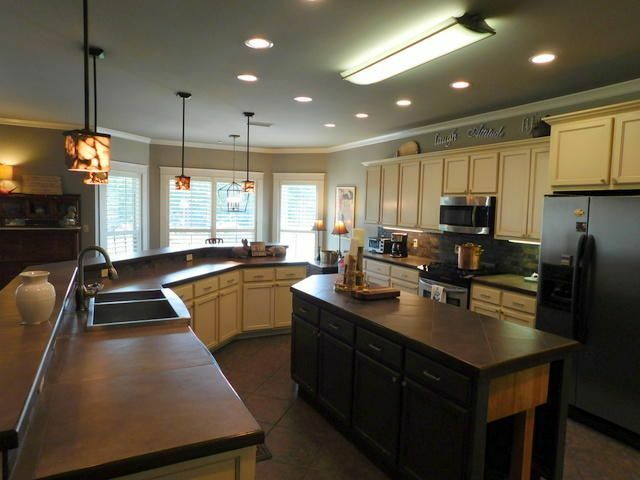 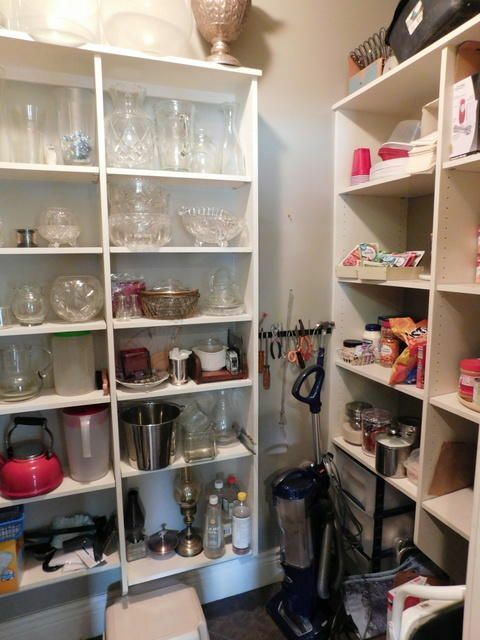 Large eating bar, island, lots of cabinets and huge pantry. 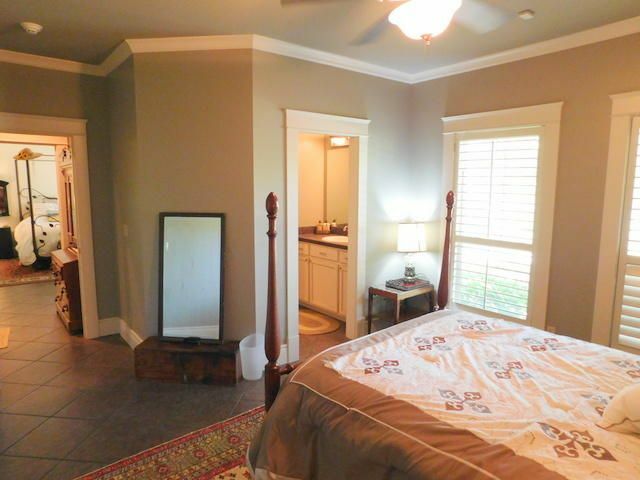 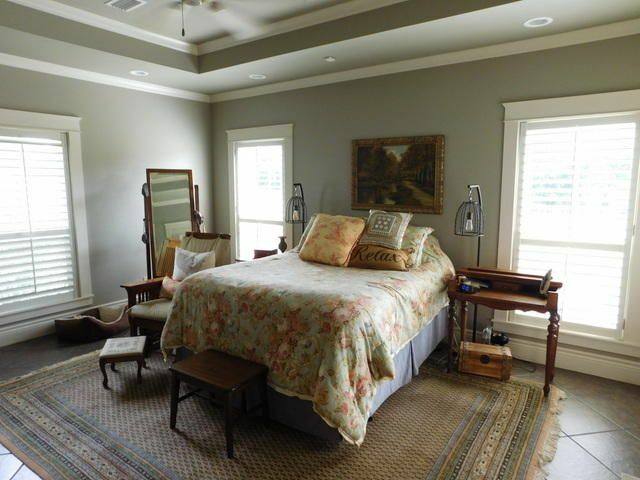 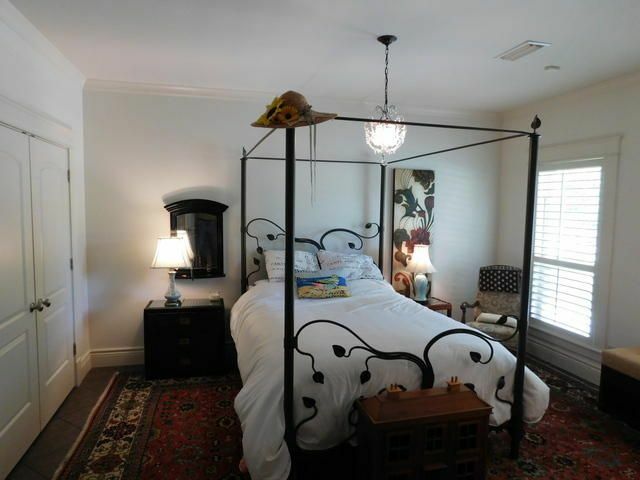 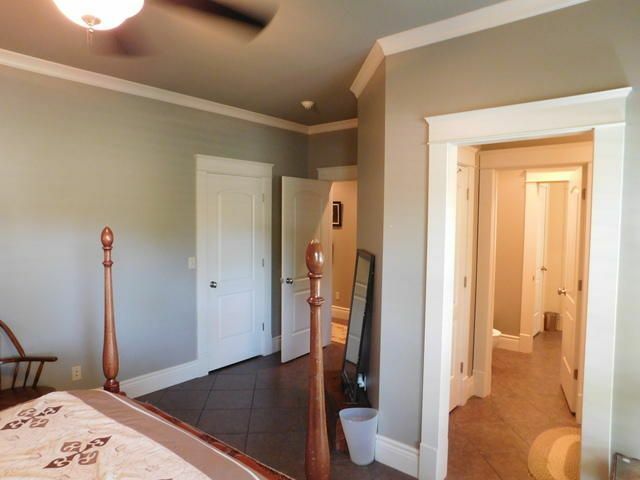 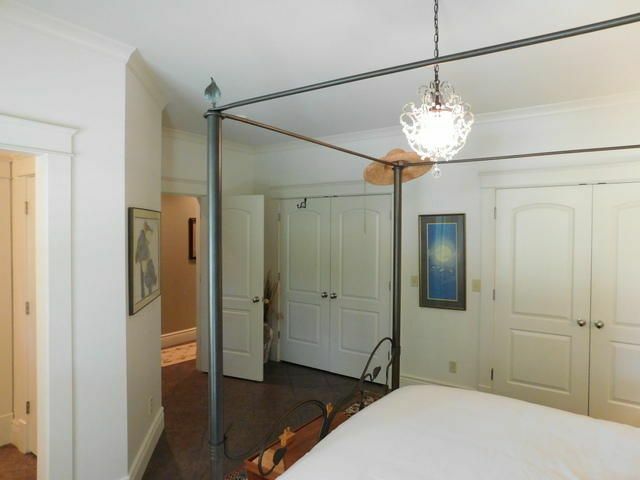 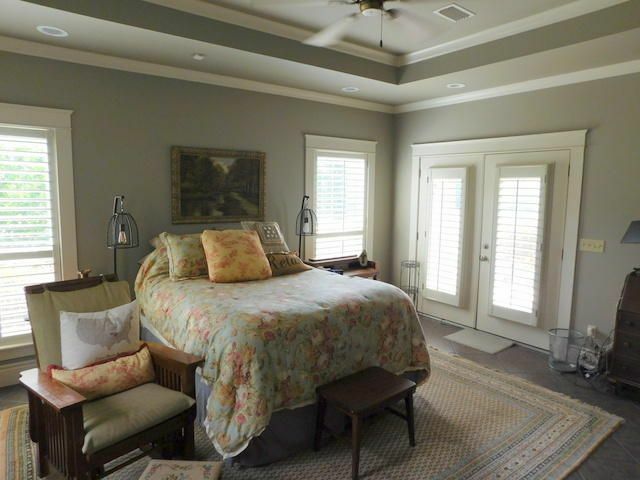 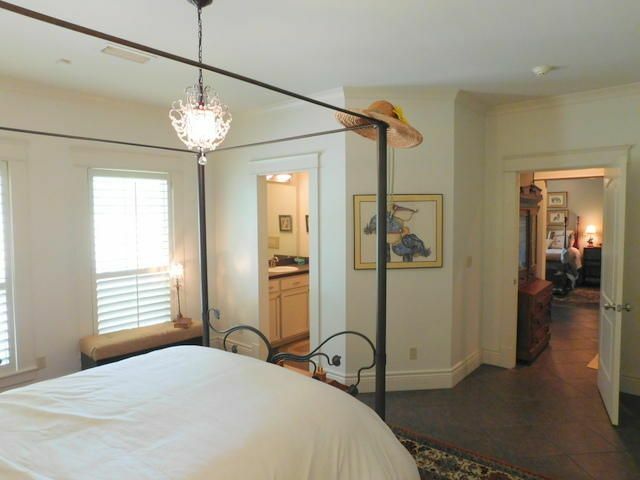 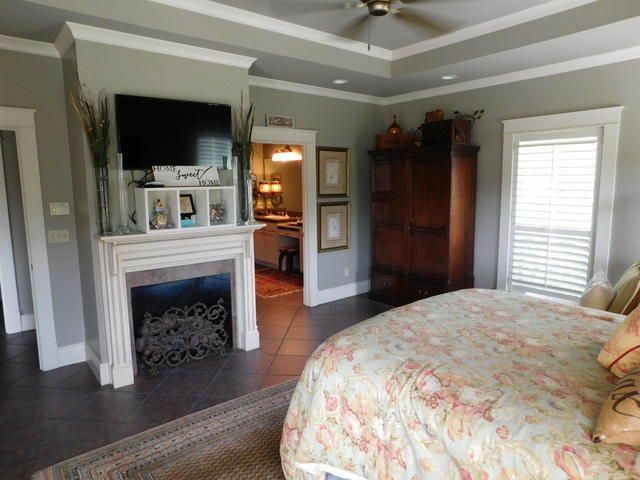 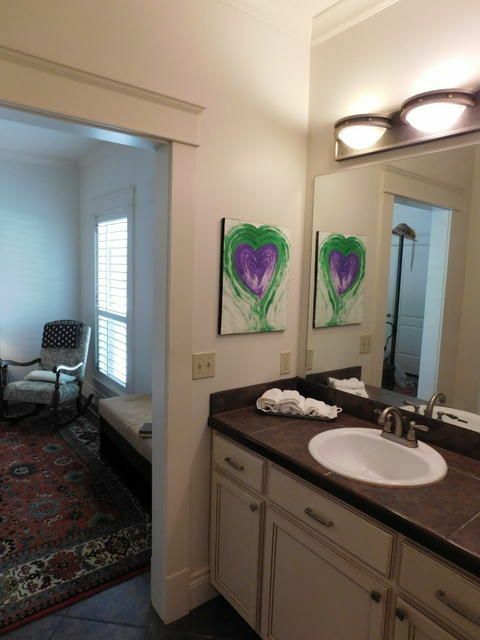 The main bedroom features a trey ceiling, gas fireplace, french doors to the covered patio and luxurious bath. 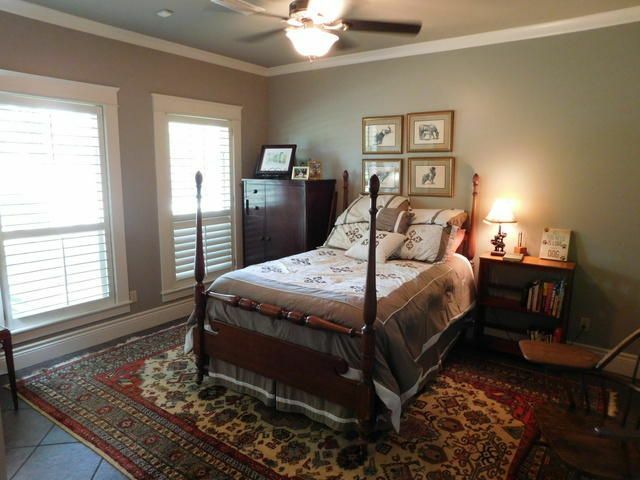 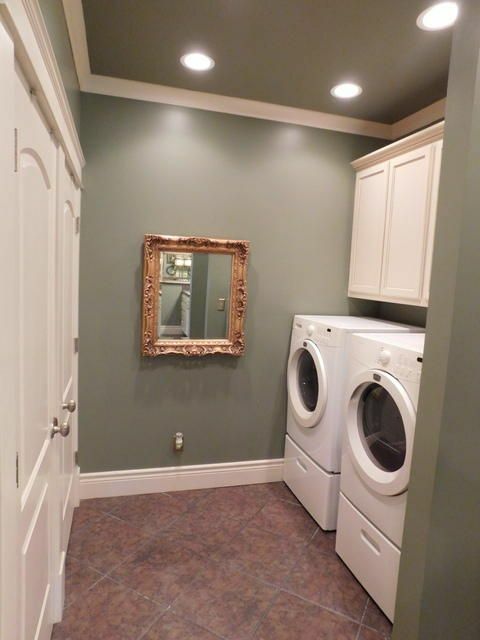 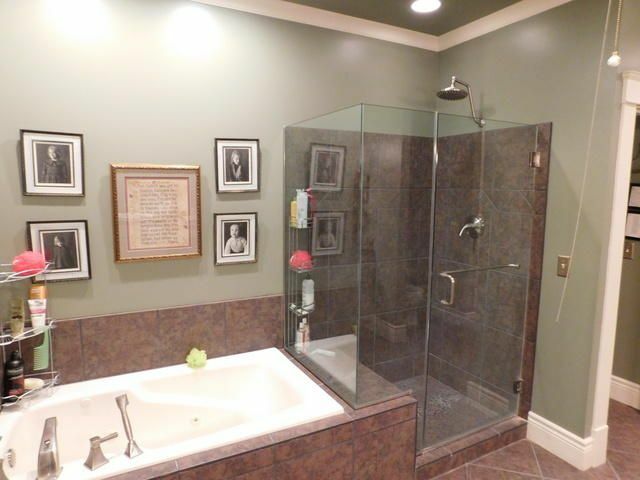 Good size guest bedrooms with jack and jill baths. 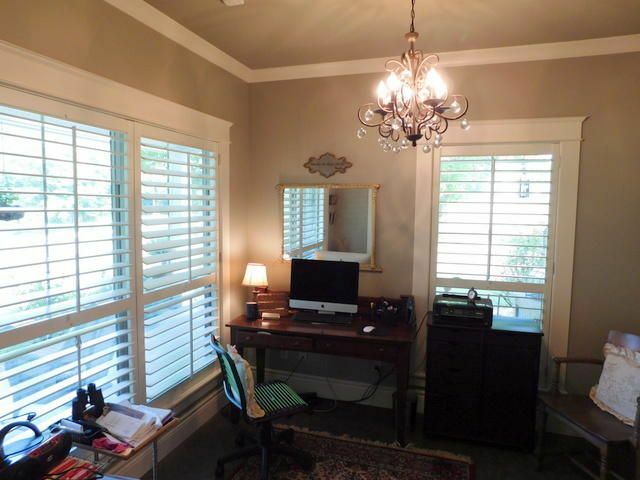 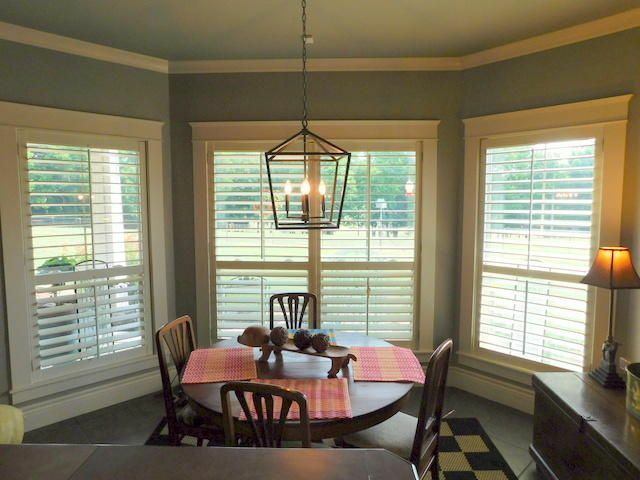 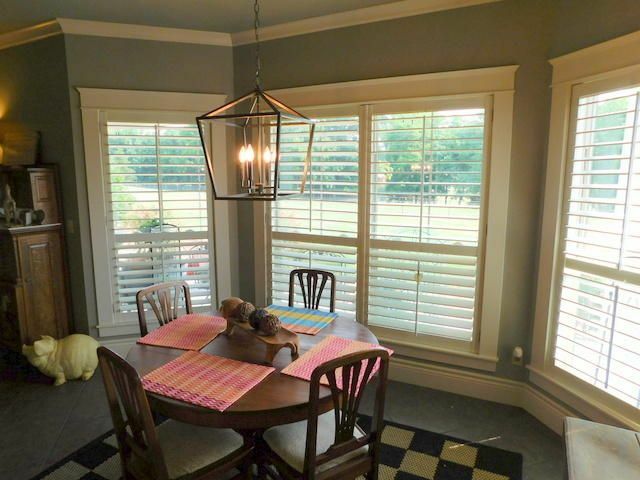 Plantation shutters throughout the home add to the homes charm. 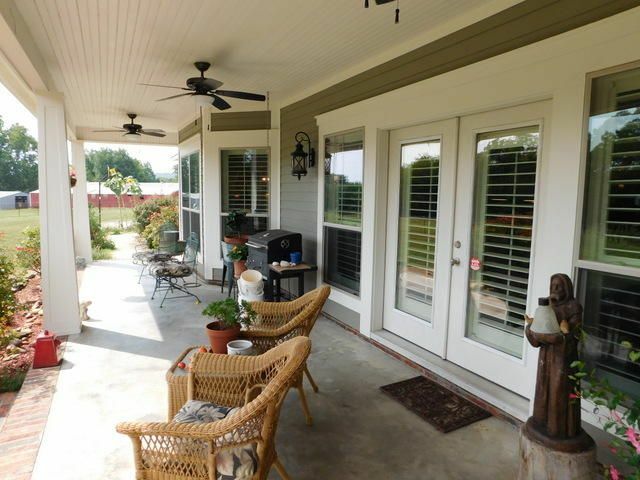 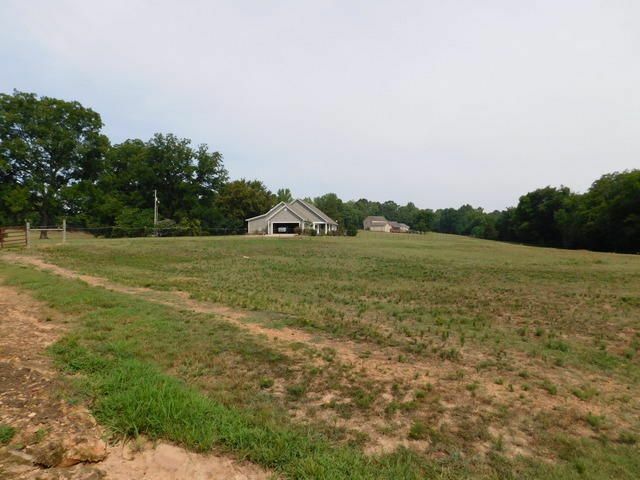 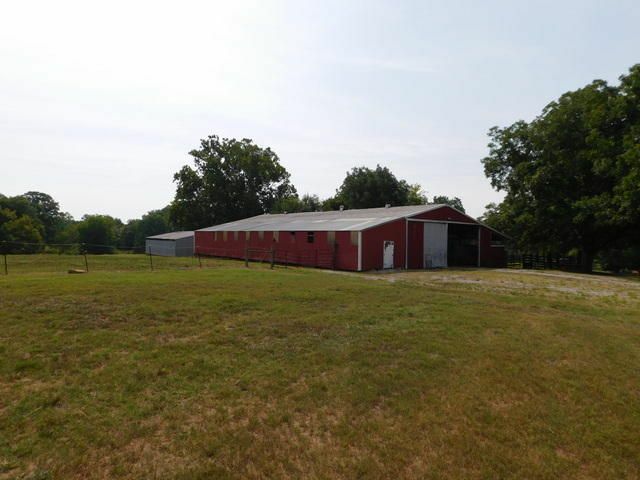 Two barns on the property totaling 8,750 sq.ft. 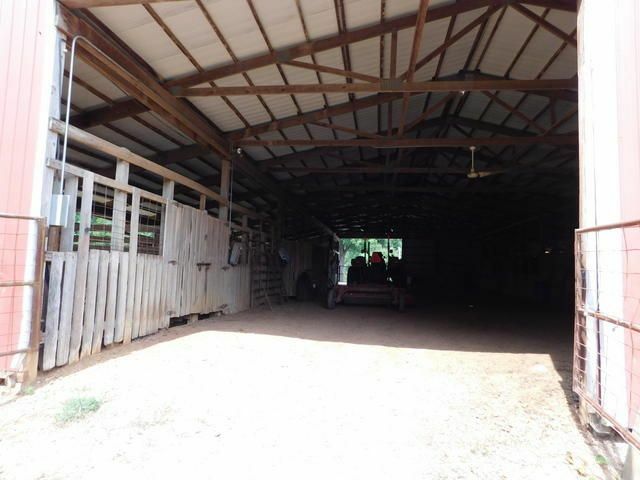 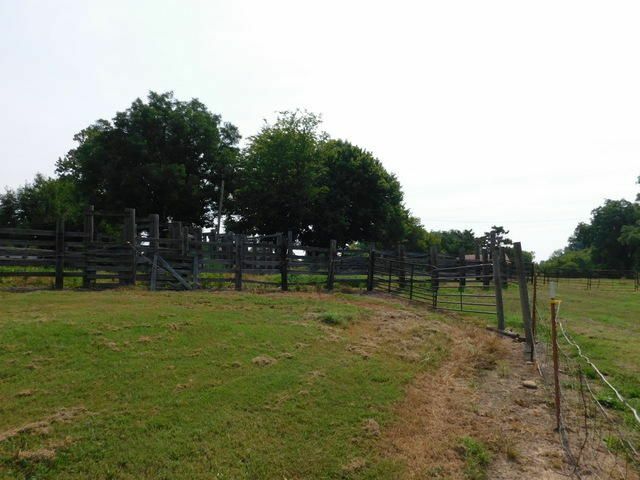 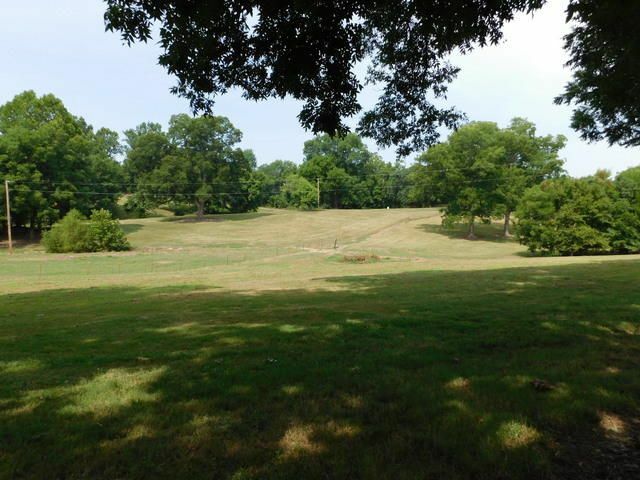 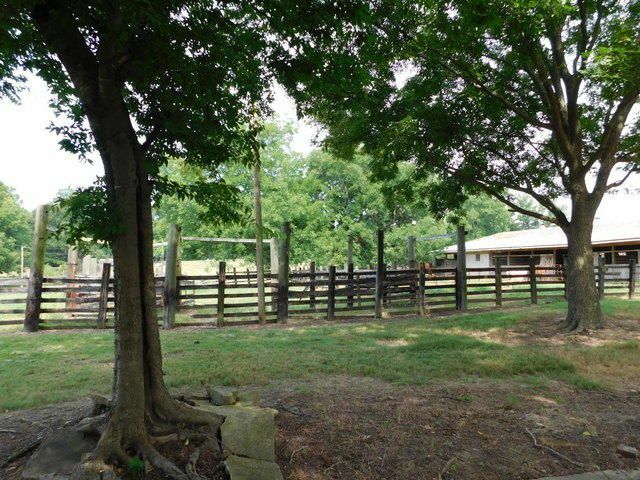 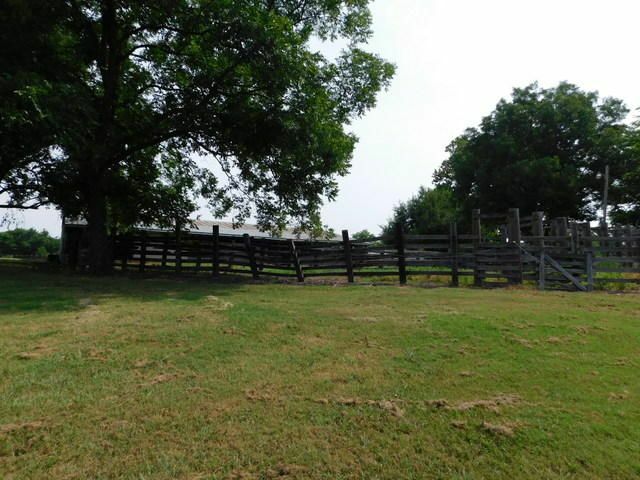 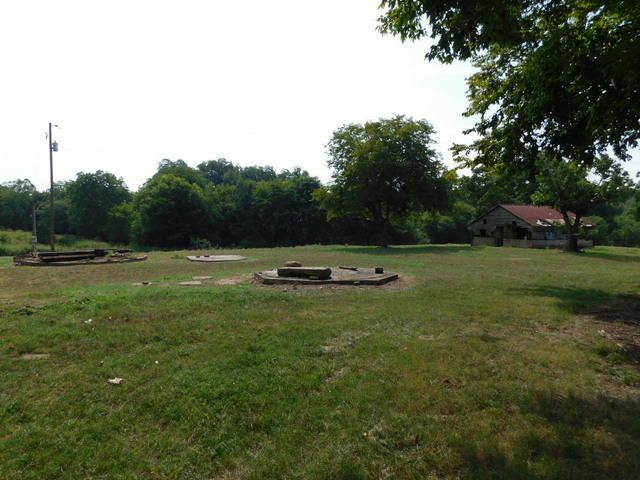 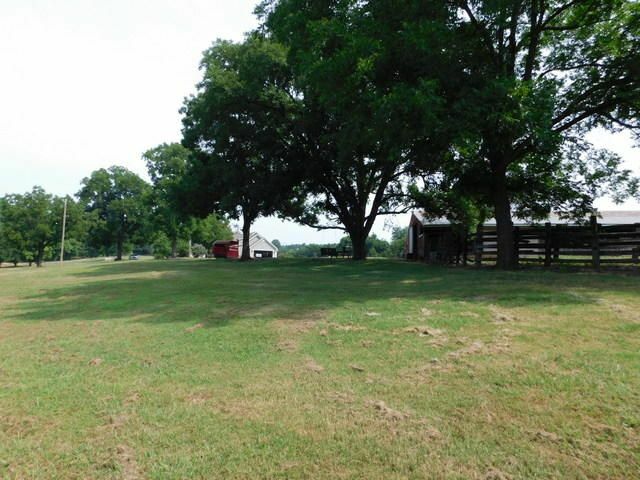 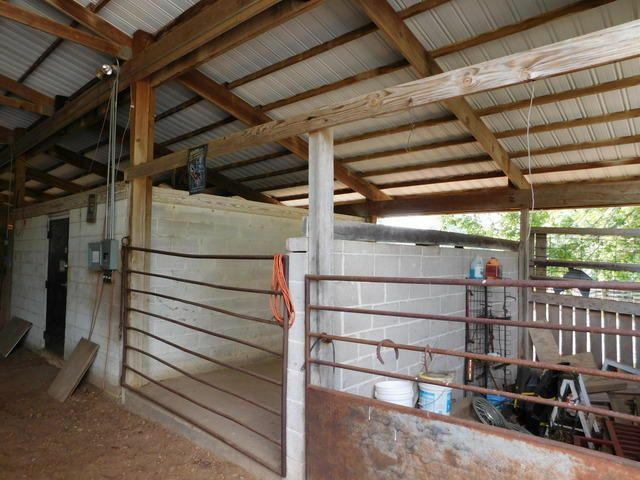 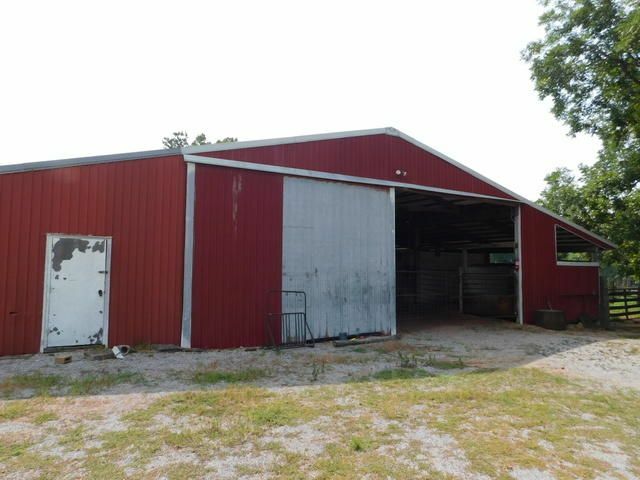 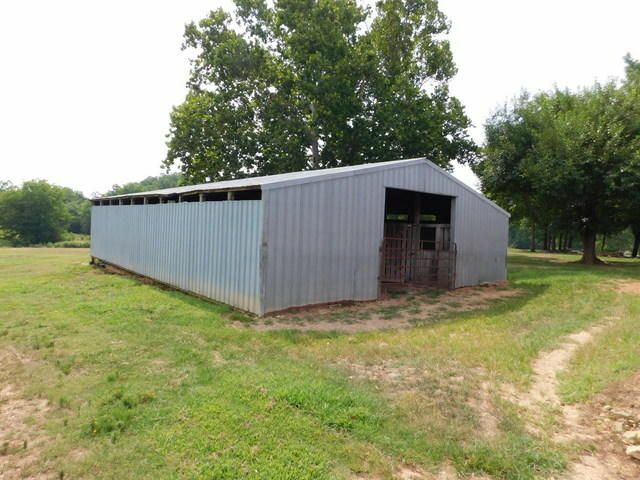 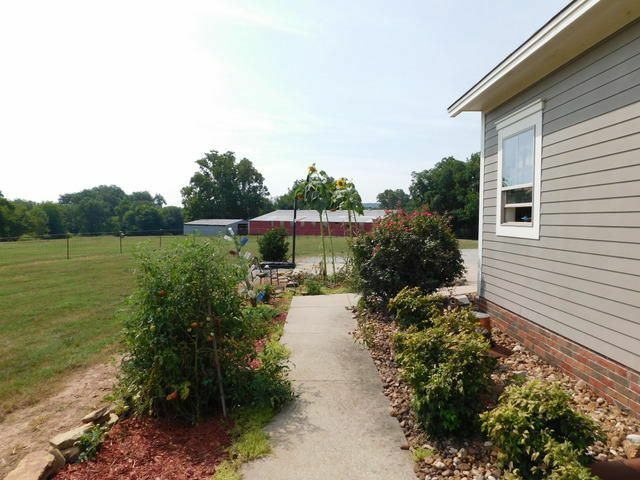 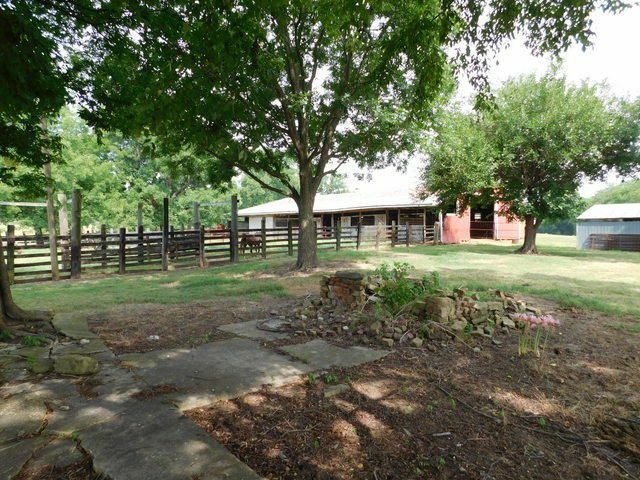 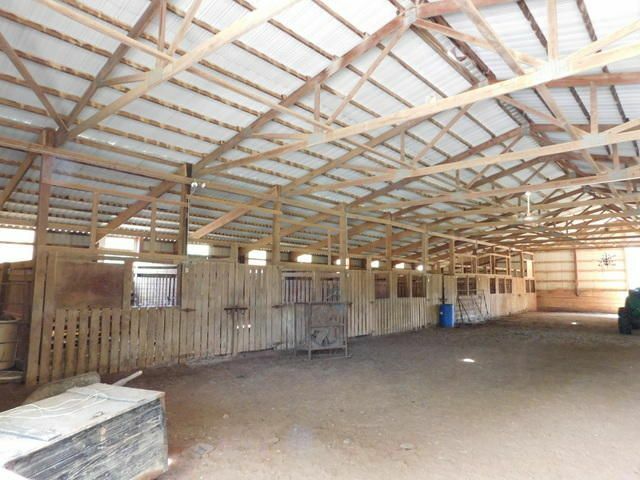 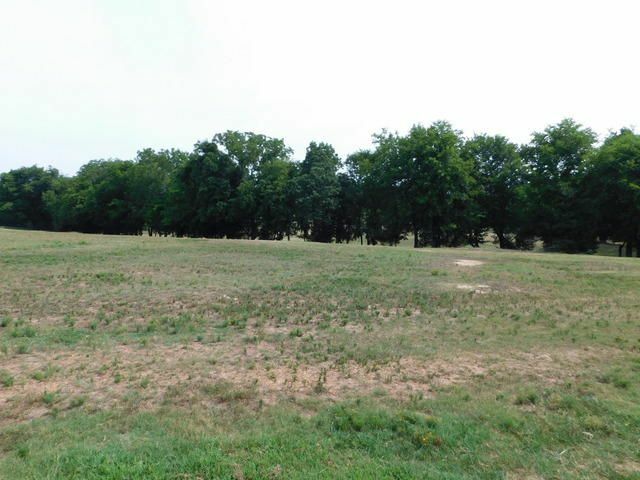 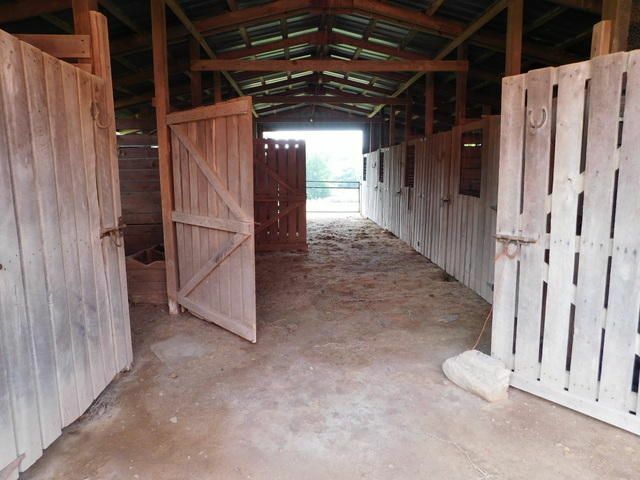 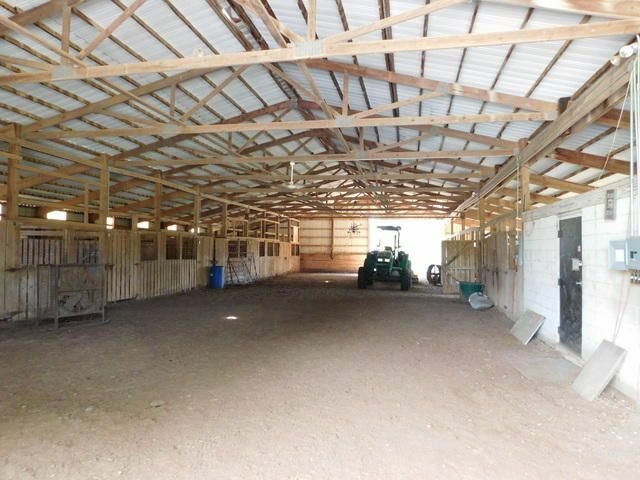 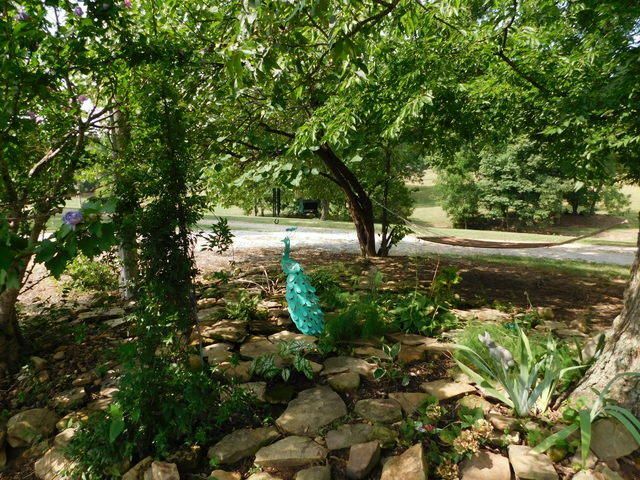 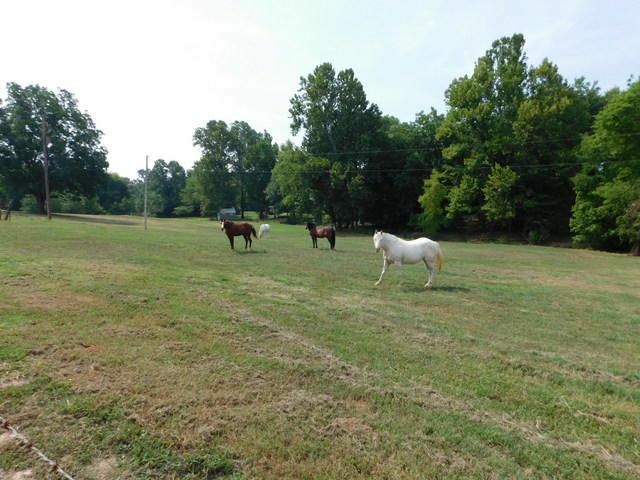 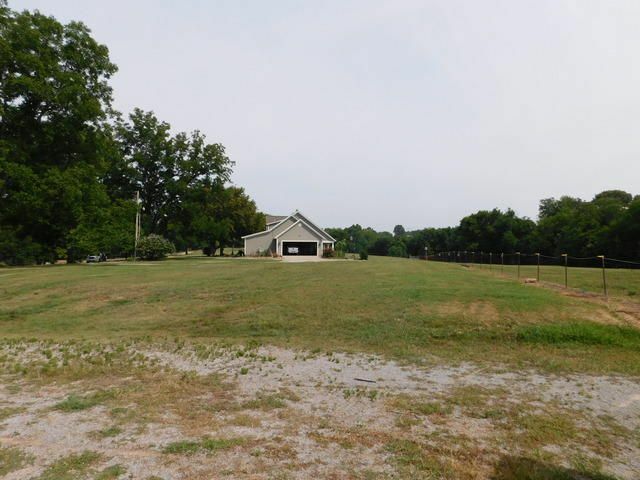 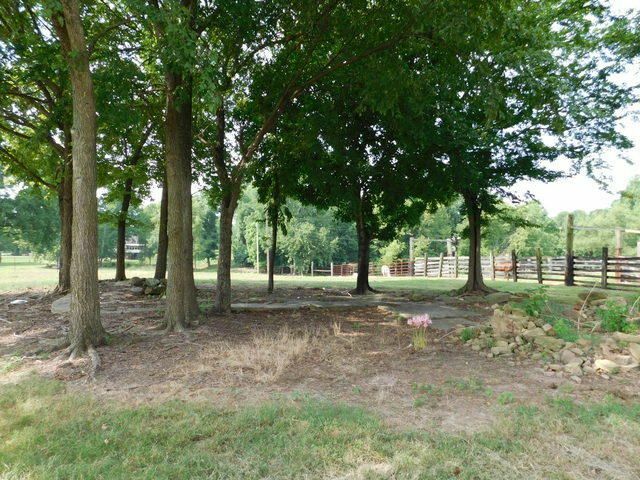 with many stalls, tack room, wash area, corrals, arenas and lots of room for horses make this a fantastic find! 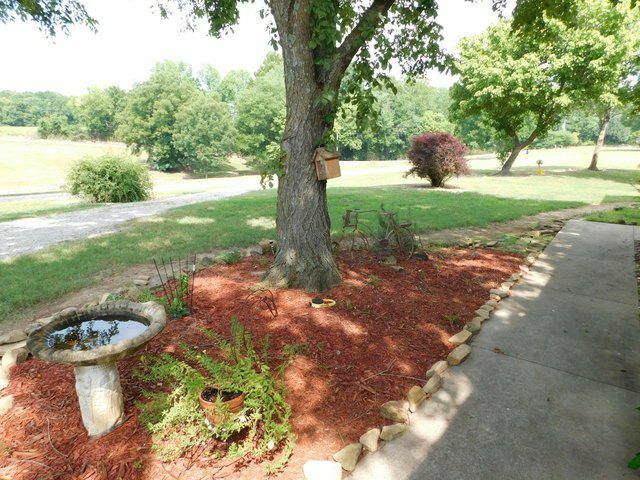 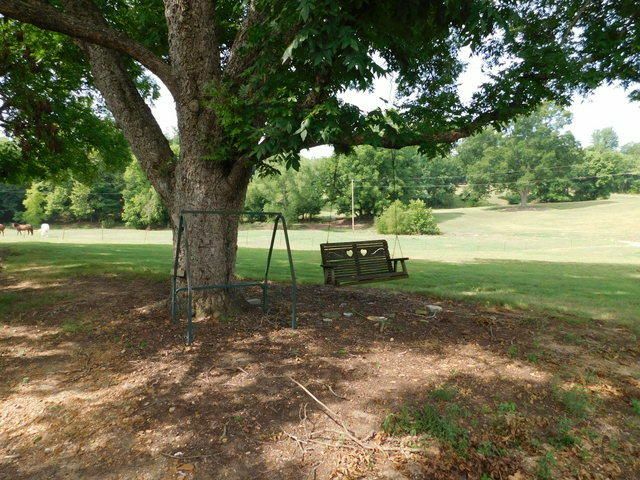 Please provide more information about Listing # 18-483.